Julius Platshek was born in Schwersenz, West Prussia, in 1833. He was educated in Germany and was engaged in business there. Hearing of opportunities in America, Julius Platshek landed in New York in 1850, at the age of 17. Three years later, he headed to California by way of the Isthmus of Panama to San Francisco. Julius Platshek first obtained a job as a clerk and soon entered the clothing business on his own. After a few years, he became interested in real estate and learned the business from every angle. Platshek was an active member of the Real Estate Exchange of San Francisco. In 1870, he entered the business of wool, hides, and skins, under the name of Platshek & Harris. 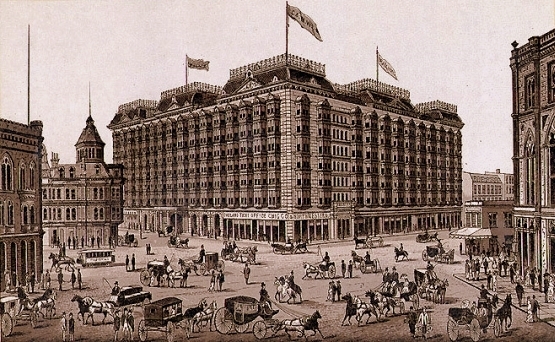 This brought him enough wealth to have a permanent residence in the Palace Hotel, retire, and to travel extensively in Europe. Julius Platshek was a member of Congregation Emanu-El. He was active in theHebrew Orphan Asylum. Platshek was grand trustee and grand treasurer of the Grand Lodge of B’nai B’rith for ten years. He was also a member of the International Order of Odd Fellows and a prominent member of the Masonic Fidelity Lodge F. & A. M.
Julius Platshek married Miss Lena Rich. Together, they had two children. Their son, M. J., became a prominent Attorney in San Francisco. 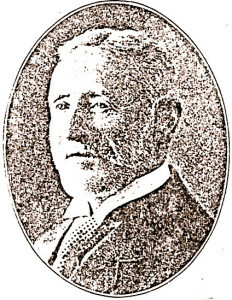 Julius Platshek died in 1907. David Epstein is curator for this Julius Platshek exhibit. The great Oakland duel between Martin Solomon and Jacob Jacobs is now the all absorbing topic of conversation of the Broadway squad of Athenian merchants. That Chivalry is not yet dead in Oakland’s Hebraic soul, and that the blood of the Maccabees still foments like good lager in the interior of the Jewish constitution of Athens, this diabolical scene of carnage must attest. The great Winglebury duel could not hold a candle to it. One of Reverend M. S. Levy’s sermons is nothing as compared with it. It was a terribly realistic scene. There, in the dim twilight, with loosened suspenders and faces pale as death, stood facing each other Jacob Jacobs and Martin Solomon, with Solomon Levy in the background. It was a fearful ordeal to pass through. Fire! Simultaneously two shots rang out in the stillness of night and all was over. Death had marked two barn fences for his own. The heroes of the fight were unscathed, fell into each other’s arms, wept, and like good Yehudim, marched to the synagogue and engaged in prayer. The general verdict now is that Oakland’s fair sons and daughters will never look upon the like of this again. Amen! Levi Strauss: Founder of Levi Strauss & Co.